Explore Perth's surroundings by going to Fremantle (Fremantle Prison & Fremantle Markets). 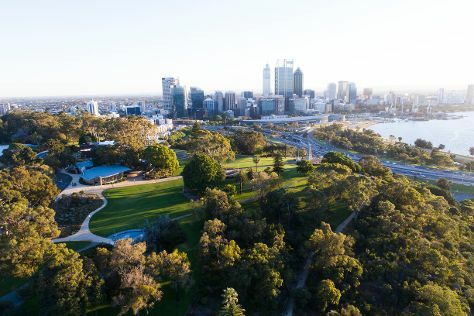 There's much more to do: walk around Kings Park & Botanic Garden, appreciate the history behind Kings Park War Memorial, explore the activities along Swan River, and take in the views from Elizabeth Quay. To see maps, more things to do, other places to visit, and tourist information, use the Perth day trip planning tool . Manchester, UK to Perth is an approximately 23-hour flight. Due to the time zone difference, you'll lose 8 hours traveling from Manchester to Perth. In March, Perth is much hotter than Manchester - with highs of 34°C and lows of 19°C. Finish your sightseeing early on the 22nd (Fri) to allow enough time to travel to Denmark. 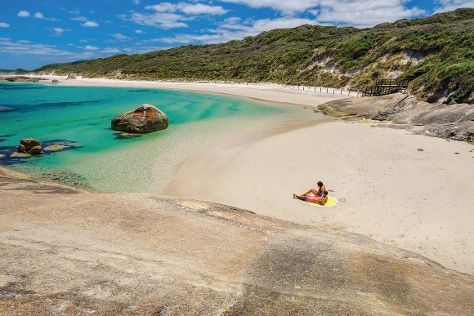 On the 23rd (Sat), stroll through Lights Beach, then take in the dramatic natural features at Elephant Rocks, and then kick back and relax at Greens Pool. Keep things going the next day: kick back and relax at Cosy Corner Beach, learn about winemaking at Singlefile Wines, and then hike along Tree Top Walk. To see ratings, more things to do, maps, and more tourist information, you can read our Denmark online travel route planner . Getting from Perth to Denmark by flight takes about 5 hours. Other options: drive; or take a bus. Expect slightly colder temperatures when traveling from Perth in March; daily highs in Denmark reach 27°C and lows reach 15°C. Wrap up your sightseeing on the 24th (Sun) early enough to travel back home.